The Secure Sockets Layer (SSL) system was developed for you to believe more than half of what you see. SSL certifies it ALL as believable. Why is that important? HACKERS. The advent of the net has produced computer-facile nuts to whom cracking passwords, stealing user codes, accessing business systems, phishing accounts, and stealing valuables has become the single-most destructive intellectual game in history. SSL is designed to correct that. SSL exists because of commonly-accepted standards adopted in 2003 by the US Government. Called the Advanced Encryption Standard (AES), it provides ways to encrypt the data in 128, 192, and 256 bit configurations. Do you think you have problems establishing an 8-character password (one capital, one digit, please)? At 8 bits per character, think about how much fun it would be to establish a 16, 24, or 32 position password and then have to remember it all. And then what it would take to do that to every character of your message? The AES standards do that for you, and in the higher range, data are sufficiently safe for SECRET communications. We want to keep our personal, professional, and financial data to ourselves. We don’t want people gaining access. Further, we want to depend on the security and confidentiality of what we read on the Internet, in our websites, in our messages, in our transactions. SSL isn’t just convenient nowadays; it’s absolutely necessary. If you want your site to be secured, you need SSL. If you want to protect your users with links, you need SSL. And certainly, if you’re passing private data, such as deposit or transfer of money transactions, you want your user to be confident that your security bases are covered. If you’re trying to do e-commerce at your site, you’ll be penny-wise and pound-foolish if you don’t part with the very minor costs to acquire certified SSL protection. SSL provides protection, not only for you, but also for your customers. Let’s be very candid. 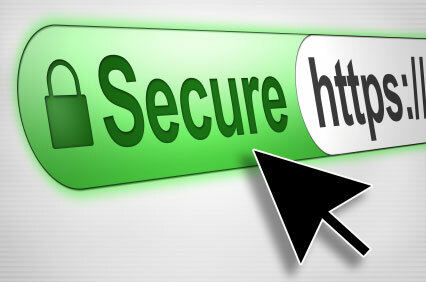 There are many places where you can purchase SSL protection, and for a wide variety of prices. It would also be fair to say that what many offer is the lowest possible level of protection for the least amount of money. Buy that and endure their constant prompts to upgrade to higher levels of protection. Buy the entire battery of services, and you could pay as much as $133 per year for exactly the same coverage you can obtain from HostPapa for less than $20. For that you get it all. Do you need unlimited server licenses? HostPapa has them through its partnership with Globalsign SSL certificates. So do others. The same is true for security seals, padlock symbols, “https” domains, 256 bit encryption — with the authority to increase that, 99.9% browser recognition, mobile device support, domain authentication, and round-the-clock customer service. They will sell multiple years, if you wish, and guarantee reissuance. Every one of those companies offers the same protection, albeit at varying prices. HostPapa offers something the others do not: malware protection. If you suddenly find your system bogged down with “adware and other aberrations,” that, alone, is worth the twenty bucks. But HostPapa offers yet something else not yet available with the others. The price covers one domain, without subdomains. They offer a separate option, still less expensive than their competition, which will support unlimited subdomains. It’s called the Wildcard option. Trust is the issue. HostPapa offers SSL certificates by Globalsign to their customers at prices far better than the competition. Read about it at http://www.hostpapa.ca/. Look for the closed padlock in the upper left hand corner. 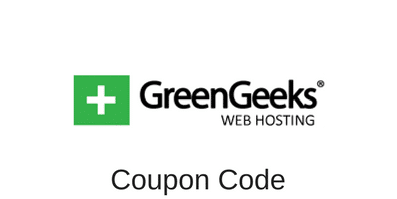 HostPapa is Canada’s Unlimited GREEN web hosting provider with available SSL protection. For more information about HostPapa’s SSL certificates, please visit their website. You don’t have to use HostPapa for your website to get the SSL, but who can beat $3.95/month for hosting and $19.99/year for a SSL certificate? This entry was posted in Guides on January 28, 2013 by Jared C. Brown.